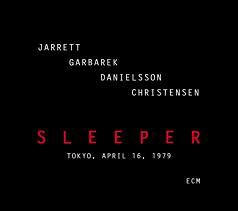 Perhaps I was too enraptured by his so-called American Quartet or too much in love with his rapturous solo inventions of the 1970s, but I never delved too far into Keith Jarrett's 'European Quartet' with Jan Garbarek, Jon Christensen and Palle Danielsson. The band struck me as cold and rather academic in comparison to Dewey Redman's squawking raunch, Charlie Haden's deep grooves and Paul Motian's effortless swing. 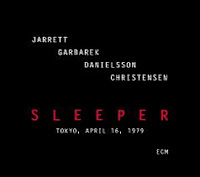 So, if you've been lucky enough to hear Sleeper, the 1979 concert that ECM released last week, you know what a slap in the head I've taken. I've long since become a huge fan of Garbarek (many thanks to my late friend Eric Nisenson for hipping me to the saxophonist's great works) but his gruff, extended blowing here is still a revelation. On "Chant Of The Soil" and "New Dance," he takes Jarrett's music as out as Redman ever did, but with more connection to the melodic core of the compositions. In concert, the Latin grooves of "Personal Mountains" and "New Dance" have a slippery essence that I wasn't expecting. What a joy it is to discover exciting music like this 33 years after the fact. I'll just try not to kick myself too often for missing it all this time. When a standalone restaurant closes, it's usually a highly local story. But, when that restaurant doubles as the headquarters of a city's jazz scene, it's a death that affects us all in the music community. Café Paradiso was one of those places; a singular jazz venue in a mid-sized Canadian city that has proven incapable over the past 40 years of sustaining more than one jazz club at a time—often with gaps of many years between their deaths. Its closure on June 30—less than two weeks after playing host to a Jazz Hero satellite party for the Jazz Journalists Association Jazz Awards, and immediately after a performance by vocalist Theo Bleckmann and guitarist Ben Monder—leaves a big hole in the club circuit that exists just north of the Canada/U.S. border, in Toronto, Kingston, Ottawa, Montreal and Quebec City. Its presence allowed artists like Bleckmann, Sheila Jordan and Dave Liebman to make economic sense of venturing north of New York City, hooking up single-night gigs in places like Montreal's Upstairs and Quebec City's Largo in addition to a night at Paradiso. 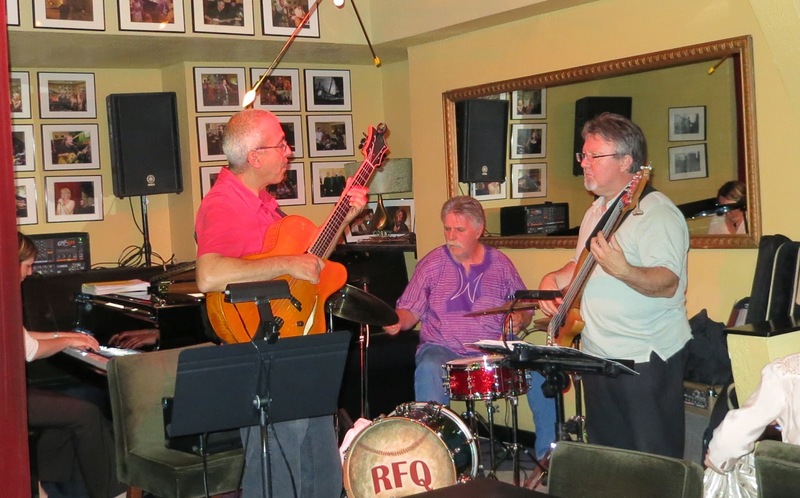 Recently, on Facebook, I sang the praises of club owners like Upstairs' Joel Giberovitch, Largo's Gino Ste-Marie and Paradiso's Alex Demianenko—impresarios who are in the business for their love of the music, rather than simply restaurateurs who think they can make a buck off hungry and thirsty jazz lovers. I barely knew Demianenko, but let me tell you what I learned about him in a short time. My jazz critic colleague Peter Hum introduced me to him one afternoon in April. I told Demianenko I wanted to talk to him about possibly holding the Jazz Hero event at his club. He asked me to step into the small passageway between his bar and kitchen, and I made a four- or five-minute pitch to him about the Jazz Journalists Association and the Jazz Hero concept. He'd never heard of the association or its annual Jazz Awards, but he listened intently, nodding his head, and said, "I'd love to do it. I'll pay the band." Now, the most Hum and I had hoped was that a club owner might offer us the space and allow us to invite some local musicians up to jam, but here he was offering to pay for a band to play on what would normally be an off-night for his club. Maybe that's the kind of risk-taking that led to Paradiso's closure, but it's also the kind of generosity that you see too little of in the world of jazz clubs. As noted, Ottawa has seen them come and go over the years: The Penguin, Woody's, Take Five, After Eight. If you've been around town long enough, it can seem like a sad roll call of faded dreams. But, here's one to dreamers like Alex Demianenko; they keep the jazz world turning. There are few things as thrilling in music as when musicians whose work you love form a new group and the results define the cliché of the whole being greater than the sum of its parts. The new Dave Douglas/Joe Lovano quintet—known as Sound Prints, in subtle homage to Wayne Shorter—is just such a thrill. With the sublime Joey Baron on drums, Linda Oh on bass and Lawrence Fields on piano, the band already sounds fabulous, and it's really just starting out. It's now in the midst of a European festival tour, before returning home to play Newport and Detroit in the late summer, and finally making it to the Village Vanguard in the fall. One can only hope that the Vanguard date will be recorded. I caught the band's second official gig (a version of the group played in Boston with James Genus on bass late last year) on this summer tour, and my review of two sets is up today on the DownBeat website. The main stage structure in Ottawa's Confederation Park—home base for the TD Ottawa International Jazz Festival—has only just been dismantled, but the pundits are already debating what transpired there over the event's 10 days. Ken Gray, a former editorial board member at the city's major daily and ongoing columnist, is a man who loves to lounge in the park and listen to music, and as he writes here he's willing to see the festival die a slow death rather than be subjected to music that he feels doesn't belong. My estimable colleague Peter Hum takes him on through the digital pages of the same newspaper. Like many critics, Gray is only too happy to tell you what he doesn't like—anything that he feels smacks of pop, rock or blues—but is woefully short on opinions of just who might fill the bill to keep vacationing public servants and retirees nodding their heads and making trips to the beer concession as the festival sails toward the inevitable sunset of his doomsday scenario. He's also woefully blind to everything that goes on away from the festival's main stage (which, this year, included what was perhaps the best set of improvised music—performed by the new Dave Douglas/Joe Lovano quintet—I've witnessed in a couple of years anywhere) and how much those shows are subsidized by the 11,000 or so music fans who show up outdoors to hear the likes of Robert Plant or Steve Martin in all their non-jazz glory. In an earlier entry, I highlighted how much popular mainstream acts contribute to the coffers of the festival, which often loses money on jazz acts (the second set of that stellar Douglas/Lovano band attracted only about a one-third house, for example). Of course, Gray also overlooks the reality of history. He falls back on that old saw that jazz never sounds better than it does on a summer's evening when it's played outdoors, presumably casting his mind back to the archetypal summer jazz fest at Newport, Rhode Island. Conveniently, he overlooks the fact that promoter George Wein—in addition to popularizing the concept of the outdoor jazz festival—also pioneered the inclusion of popular artists who drew from the same roots as Dizzy Gillespie and John Coltrane. Hence, Wein's inclusion of acts like Chuck Berry and, a decade or so later, the Allman Brothers Band, in the Newport Jazz Festival lineup. No, Gray would rather see the festival shrink, or even perish—a vision that is not only ridiculously shortsighted, but diminishes the contributions of the artists who are performing in venues that promote close listening. With 'fans' like that, is it any wonder that so many younger musicians reject the notion of jazz altogether? July 8 Addendum: Here's an interesting perspective on the crux of this issue from pianist Robert Glasper, who believes jazz as the purists like Gray see it is a "secret club."